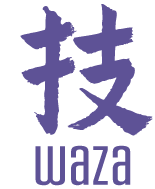 Waza is an event where developers can find inspiration – about what’s happening in technology, what’s happening at Heroku, how people are thinking about the future, and how the landscape of technology is changing. Through technical sessions and non-technical, artistic, and interactive happenings, Waza celebrates what it means to embrace art, technique and the creative process of software development. Held in early 2012, the inaugural Waza featured moments that included large-format photography, architectural origami, hacking, discussions, musical performances, and technical sessions on a range of topics. Building upon the successes and lessons learned from Waza 2012, the next Waza will be equally unconventional, more ambitious, and even more focused on technical developer content. At the core of this year's developer gathering is exceptional content. We have opened a Call For Speakers for Waza 2013 through November 30th. We are looking for interesting stories, innovative projects, emerging philosophies, and technical craftsmanship. We're hunting for topics ranging from technical deep-dives about cutting-edge application architectures and stellar & advanced uses of the Heroku platform, to non-technical topics such as the philosophy of application design or building modern company culture. If you have something to share in the realm of art and technique that could fit well at Waza, send some information to waza@heroku.com and start the conversation.